Legal woes expand, again, at the beleaguered Japanese maker. Is Inaba caught in a potential legal trap and the crossfire of Congressional elections? Edolphus Towns (D-NY) said yesterday that a review of documents obtained under subpoena from a former lawyer at Toyota indicate that Toyota “deliberately withheld records” it was legally required to produce in response to discovery orders in litigation. Where these latest charges lead is not immediately clear – and this matter is already subject to contentious litigation in California. However, without doubt this complicates the tarnished quality image and very real legal troubles that Toyota faces with respect to its handling of safety matters. The National Highway Traffic Safety Administration is also looking at whether Toyota acted according to U.S. law while recalling six million Toyota and Lexus vehicles in the United States after it became aware of problems with the sticking accelerator pedals and uncontrolled vehicles. The vehicles in question have been subject to several, ever widening, recalls since last fall, and at least 34 deaths are now, alleged, to have resulted from Toyota safety defects in the U.S. Many of the documents in question, which Towns in his press release did not provide, apparently contain specific comments on tragic “rollover” cases in which a driver or passenger was injured, including cases where victims were paralyzed. The former Toyota lawyer in question, Dimitrios Biller, was Managing Counsel in the Product Liability Group of Toyota Motor Sales, USA (TMS), from April 2003 to September 2007. In this position, Mr. Biller was part of the defense of some of the largest tort cases filed against Toyota, including “rollover” cases involving dead or seriously injured victims. Congressman Towns, who – never ever forget – is up for re-election at a time when voters are clearly exasperated with ineffectual incumbents for their lack of action on financial regulation, fiscal responsibility and job creation, among other policy failures, subpoenaed Biller’s documents on Thursday, February 18, 2010 before the well-publicized hearing he chaired took place on February 24. Former Toyota attorney Biller claims in his own separate and ongoing Federal fraud and racketeering case against Toyota in California that information had been withheld from accident victims in as many as 300 civil lawsuits. Included in the cited — but we repeat unsupplied documents- is apparently a memo by Biller to his superiors at Toyota, noting that Toyota has failed to produce any e-mails or other electronic records in response to discovery orders. Toyota has succesfully suppressed the full release of Biller matter documents in a California Federal court. 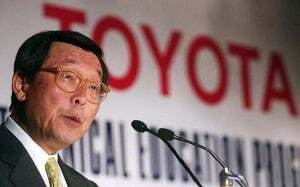 Long time endorser of Toyota quality and safety apparently missed or overlooked unintended acceleration deaths. A double standard in play at Consumers Union? This new emphasis on safety comes about as its April Auto issue is published against a background of questionable practices by Toyota and the National Highway Traffic Safety Administration in controversial unintended acceleration and pedal entrapment issues, which are, allegedly, responsible for 34 deaths in the U.S. and the recalls of more than 8 million Toyota and Lexus vehicles globally. In its annual auto issue – in preparation for months before the now well-publicized Toyota recalls – Consumer Reports endorses the 2010 Toyota Prius as the “best value” in family cars. Other previous Toyota vehicle recommendations have been dropped. To determine which cars are the best values, Consumer Reports claims it looked at a combination of performance, utility, and reliability for the money, considering total owner costs over the first five-years. 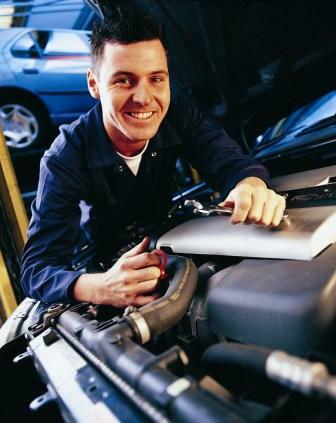 The better a car performs in road tests and reliability ratings and the less it costs to own, the greater its value. The magazine, with more than 7 million print and online subscribers, is notably silent in its endorsement of Prius about the current recall of 2010 Prius models for braking failures, and does not acknowledge the ongoing controversy about other Prius safety and quality issues. Critics point out that for decades, Consumer Reports automatically gave Toyota products its top ratings before quality data was available from surveys of its readers – an “innocent until proven guilty” position that is at the heart of American criminal law. However, this automatic endorsement reverted to the French Napoleonic code of “guilty until proven innocent” when Consumer Reports rated other makers’ vehicles, including those from the Detroit Three. Until there was a track record, CR would not recommend them – a clear double standard that in light of recent events is even more troubling. Japanese maker aims to regain momentum in hybrid segment. Honda is launching its latest dedicated hybrid, the CR-Z, and insisting it won't run into the hybrid braking problems of Toyota's Prius. Just what impact the safety scandal at Toyota will have on the rest of the automotive market is uncertain, but the Japanese maker’s arch-rival, Honda, is working to ensure it won’t be tainted, as well. 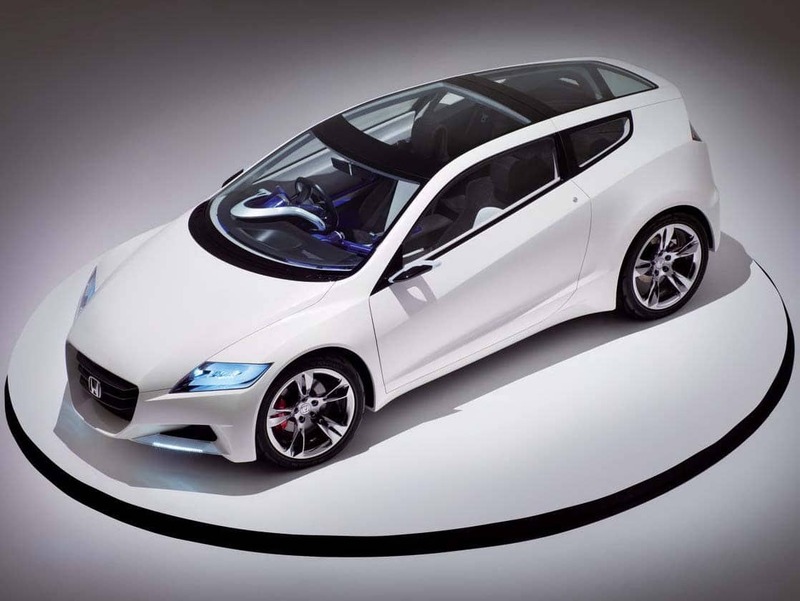 “Product quality is extremely important to us,” asserted Honda CEO Takanobu Ito, as the maker officially debuted its latest gasoline-electric hybrid model, the CR-Z, during a Tokyo news conference. Initial sales reports hint that Honda may be picking up Toyota buyers, especially in the U.S. market, where the safety crisis has been widely covered by the media. But, like other makers, Ito avoided any appearance of gloating over Toyota’s ongoing woes. If anything, he appeared to take a cautious position about growth and the potential it brings to start making mistakes. Ito spoke just days after his Toyota counterpart, CEO Akio Toyoda, was grilled by an American Congressional Committee. But it was only a few weeks earlier that Honda had to expand the recall of products including the 2001 and 2002 Accord sedan, Civic compact and Odyssey minivan because of faulty airbags. Since the first defect announcement, 15 months ago, the number of vehicles on the callback list has grown to 437,000. 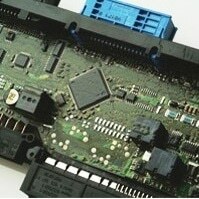 Automotive electronics pricing at suppliers is under scrutiny. “Lear is cooperating fully with the European Commission..."
Lear Corporation has just reported that it is part of an investigation into anti-competitive practices among automotive electrical and electronic component suppliers by the European Commission. The EU Commission said it was investigating several suppliers, but so far, only Lear and Leoni Kabel Gmbh of Roth, Germany, have acknowledged they are part of the ongoing investigation. Japan’s Fair Trade Commission has raided offices of Sumitomo Electric Industries Ltd. and Furukawa Electric Company. “Lear is cooperating fully with the European Commission in their investigation, and I am confident that our Company is not involved in any anti-competitive practices,” said Bob Rossiter, Lear’s chairman and chief executive officer. The antitrust investigations are looking at whether the companies improperly divided business with automakers, the EC statement said. “The commission has reason to believe that the companies concerned may have violated [European Union] antitrust rules that prohibit cartels and restrictive businesses practice,” the EC said. 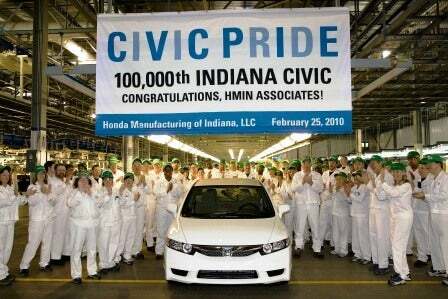 The compact Civic is the sixth best selling vehicle in the U.S.
Celebration of a long time best seller in the U.S.
Workers at Honda Manufacturing of Indiana have produced the 100,000 Civic model since the plant opened in the fall of 2008. The compact and fuel efficient Civic was the sixth best selling vehicle in the U.S. in January 2010, and was up 12% in sales for the month when compared to last year. It is a perennial best seller in the U.S. Currently, Honda operates one shift with approximately 1,000 “associates” at the Greensburg plant, producing Honda Civic Sedan and Honda Civic GX, the only natural gas vehicle built in America that is not a conversion. Engines for the Civic Sedan are built at Honda’s engine plant in Anna, Ohio. The first Civics destined for export were shipped last fall from the the plant. (Click here. )The 2010 model Honda Civic Sedans are now on sale in Mexico, as well as 22 Latin American and Caribbean nations and the U.S. territories of Puerto Rico, Guam and Saipan. Ignore recalls at your own peril. Remember to check for TSBs. Don't ignore a recall notice. The fix can often be quick and easy -- while the price of ignoring a potential safety defect could be steep. The seemingly daily coverage of Toyota’s safety problems has put a focus on the issue of recalls. Since the beginning of the year, the Japanese maker has announced safety campaigns to handle a variety of problems, from sticky accelerator pedals to malfunctioning Prius brakes. But while the spotlight may be shining on the world’s largest maker, it’s by no means alone. In recent weeks, a variety of manufacturers have announced recalls designed to address vehicle flaws, some minor, some quite significant. They can involve faulty tires, malfunctioning windshield wipers or even misfiring airbags, the latter issue involving more than 300,000 Dodge and Chrysler minivans. There are a variety of ways for a maker to act when it uncovers a potential problem, and while we don’t have the space to go into the arcana of federal safety regulations, it’s wise to take it seriously if a recall notice lands in your mailbox. Surprisingly, concedes Bob Carter, general manager of the Toyota brand, a “significant number” of owners will postpone repairs or skip them all together. German maker coming to Geneva Motor Show with all-new SUV, including its first hybrid option. The 2011 Porsche Cayenne is slightly bigger than the outgoing SUV, but 400 lbs lighter -- and offers the German maker's first hybrid powertrain option. 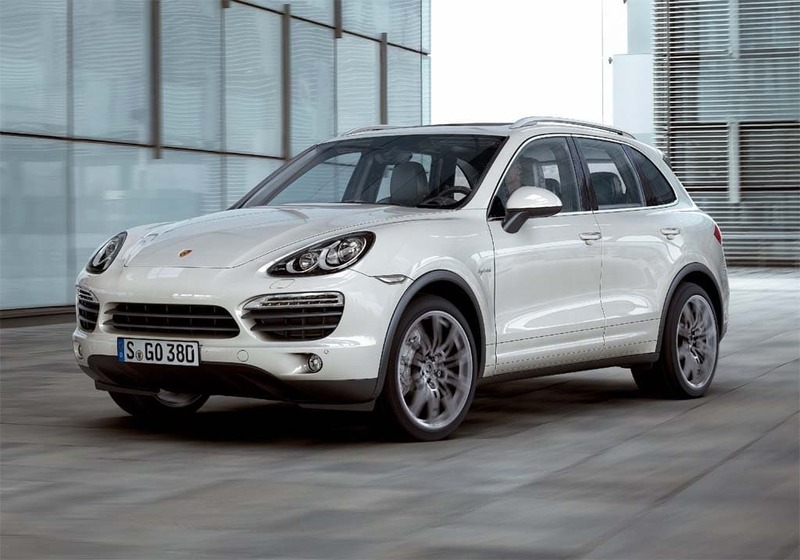 Porsche is offering us a sneak peek at the all-new version of its big SUV, and among the other notable features of the 2011 Porsche Cayenne, which will make its formal debut at next week’s Geneva Motor Show, is the fact that it will offer the German performance car maker’s first-ever hybrid-electric powertrain option. There were plenty of skeptics when the automaker announced, nearly a decade ago, plans to add a sport-utility vehicle to its line-up, but it didn’t take long after its launch for the original Cayenne to generate a surprisingly strong and – measured over time, loyal – following. But a lot has changed over the years and with the overall sport-ute segment feeling plenty of pressure, analysts suggest it’s an appropriate time to be making some changes to the Cayenne formula. Front crash sensors may be defective, but Chrysler won't recall. NHTSA makes a tough and controversial decision. Chrysler is conducting what it deems is a “safety improvement campaign” – and not a safety recall – covering model year 2005-2006 Dodge Caravan, Grand Caravan, and Chrysler Town & Country Vehicles. More than 312,000 minivans in 27 states are affected –thus far. 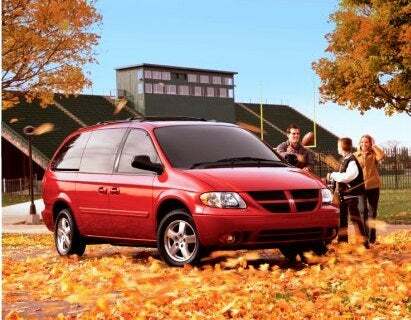 In other words, Chrysler refuses to conduct a formal safety recall. Moreover, NHTSA is making a judgment call that allows some of the sensors to be replaced instead insisting that Chrysler replace of all of them – a remedy which would apparently require lengthy legal action. This service action controversy comes after NHTSA Administrator Ray LaHood faced two days of tough questioning at Congressional hearings over the safety agency’s actions – or lack of actions – in Toyota unintended acceleration or sticky accelerator pedal defects that are allegedly responsible for as many as 34 deaths. Critics contend that NHTSA closed investigations prematurely, or limited their scope, thereby missing early warnings of Toyota safety defects. Winter blues, as sales languish in face of recalls and storms. February new-vehicle retail sales are expected to increase marginally compared with February 2009, according to the latest Power forecast. February retail sales are now projected to come in at 561,500 units, which means a seasonally adjusted annualized rate (SAAR) of 8 million units, compared with 7.9 million units in February 2009. Fleet sales continue to rebound from the lower levels experienced one year ago. 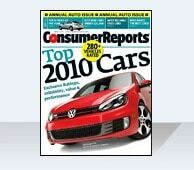 As a result, total sales for February 2010 are projected to come in at 741,500 units, up 8% from February 2009. Courtesy of J.D. Power and Associates. February 2010 numbers based on the first 17 selling days. Magna pursuing acquisitions of in spite of its own losses. Mercedes-Benz CLK convertible by Karmann. Magna Steyr, an operating unit of Magna International Inc., announced today that it acquired Karmann Japan Co. Ltd., a subsidiary of bankrupt Wilhelm Karmann GmbH, the convertible system and custom body assembly supplier. Magna International concurrently reported that during 2009, its operating loss was $511 million, net loss was $493 million and diluted loss per share was $4.41, decreases of $839 million, $564 million and $5.03, respectively, each compared to 2008. Magna posted sales of $17.4 billion for 2009, a decrease of 27% from 2008. This lower sales level was a result of decreases in North American and European production sales, complete vehicle assembly sales and tooling, engineering and other sales, partially offset by an increase in Rest of World production sales, according to Magna. Magna Steyr is combining Karmann Japan with its current car top making operations there. It is now the leading convertible roof system supplier in Japan, a business that includes the Nissan 370Z Roadster and the Infiniti G Convertible. Magna Steyr Japan will be based in Shin-Yokohama, with production facilities in Yokohama and Tochigi.